WE ARE PROFESSIONALS: We care about where and how you live. With 25 years of experience in the Houston apartment market, Houston Apartment Locators are here to give you information and consultation on the best Houston apartments available. We can find you all bills paid apartments, apartments for seniors, pet friendly apartments and many other options suiting various preferences. FREE SERVICE: Houston Apartment Locators provides you with free services, transportation, newcomer kits and much more. Our professional agents keep a profile of your priorities and help you find your dream apartment. The friendly and courteous staff members of Houston Apartment Locators let you sit back as we find the perfect house for you, saving your time, energy, and money. To get started please fill out our online Houston Apartment Search Form and leave the rest to us! WE CARE WHERE YOU LIVE: Houston Apartment Locators offers a free apartment locator service to new, current, and prospective Houston residents. We are able to provide this service free because we are compensated by the apartment owners at no charge to you. 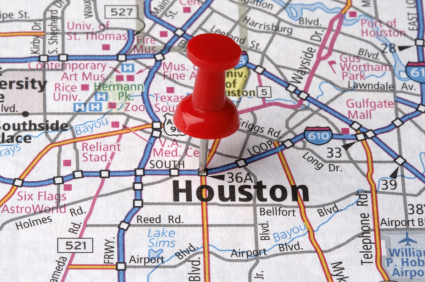 SERVING THE ENTIRE HOUSTON AREA: Houston Apartment Search Form services the entire Houston area. You can choose from living near the beautiful lakes in Houston or getting an apartment in a Victorian era building that is situated away from the town in a peaceful area known as the Inner Loop. As a matter of fact, each place in Houston has its own special beauty and tranquility. Our professional agents keep extensive files on apartment policies and rental rates. Houston Apartment Locators rents apartments in all areas of Houston including: Alief, Baytown, Bellaire, Champions, Clear Lake, Conroe, Copperfield, Deer Park, Fondren Southwest, Friendswood, Galleria, Greenspoint, Greenway Plaza, Humble, Inside Loop 610, Katy, Kemah, Kingwood, League City, Medical Center, Midtown, Montrose, Museum District, Northshore, Pasadena, Pearland, Richmond, Rosenberg, Seabrook, Sharpstown, Spring, Spring Branch, Stafford, Steeplechase, Sugarland, The Woodlands, Tomball, Webster, West University, Westchase, Westwood, Willowbrook, 1960 Area & 290 Area. Alive with a rich diversity, vibrant surroundings and friendly people Houston can be home for anyone. It is the fourth largest city in the US and a popular international destination. It is a place where you can get ample professional, cultural and business opportunities. Houston Apartment Locators' licensed rental agents build a profile based on your priorities. You tell us your rent range, job location, transportation needs, community interests, and recreational activities. We narrow the search for you by matching these requirements to the current and comprehensive information we maintain on Houston's apartment complexes. Houston Apartment Locators then prepare a list of several apartment projects that meets your lifestyle definition. We can also help in finding condos, townhomes, or homes to lease. Please fill out our Houston Apartment Search Form or call us at 713-782-4431 to discuss your apartment needs. We look forward to assisting you and we hope to hear from you soon.